It is sunrise at the Griffith Observatory in Los Angeles as teams set off on the 4th Leg of the Race. 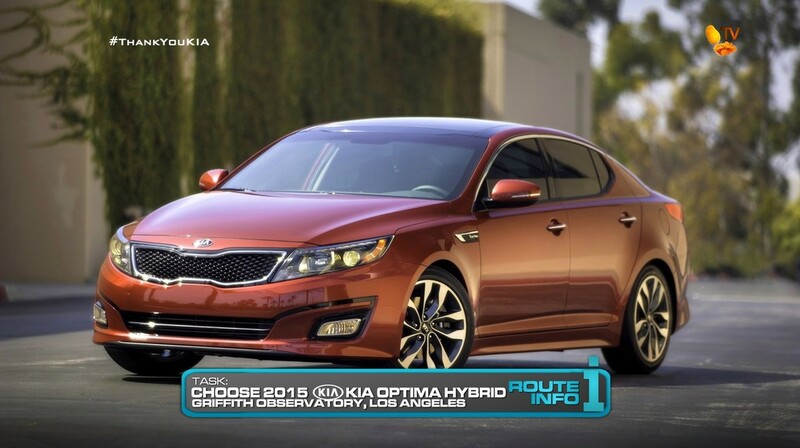 Teams will drive the brand new 2015 Kia Optima Hybrids they drove in the last Leg to get to the clue at Mission San Juan Capistrano. BUT! Before teams can leave, they must first check-in at the Forced Double U-Turn Vote Board. 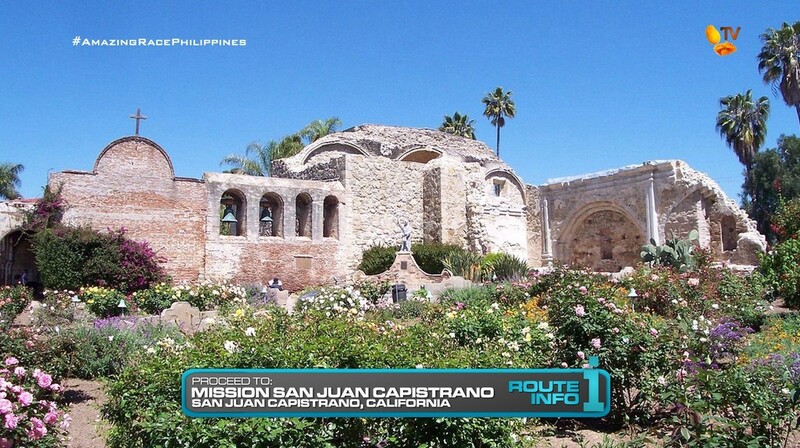 The missions of California represent the state’s historic roots. 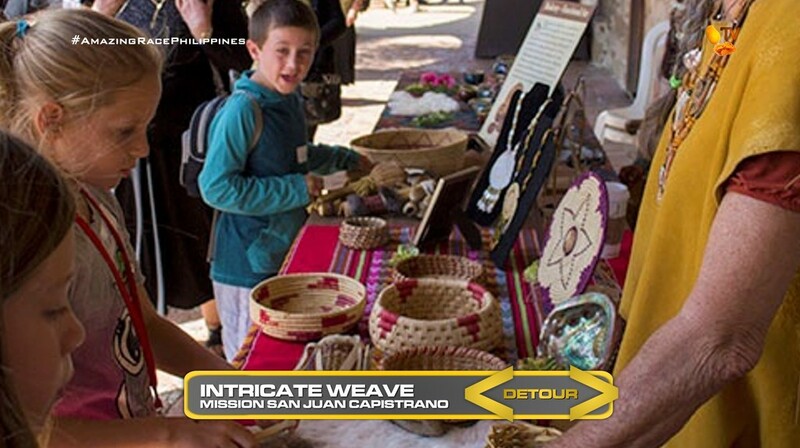 Upon arrival at Mission San Juan Capistrano, teams will find the Detour celebrating those roots: Intricate Weave or Solid Foundation. In Intricate Weave, teams must complete two traditional weaved Native American baskets, one from each team member. 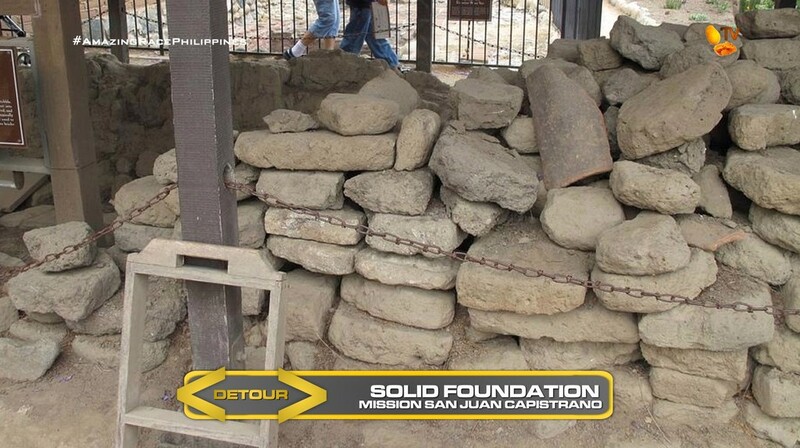 In Solid Foundation, teams must correctly make 25 adobe bricks and transport them to a marked area outside the mission. 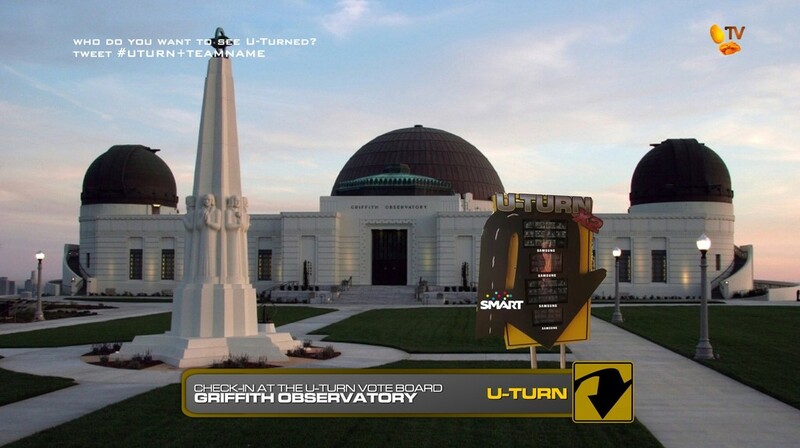 After the Detour, teams must find the Secret Garden where they must check-in at the Double U-Turn Reveal Board to see if they have been U-Turned. 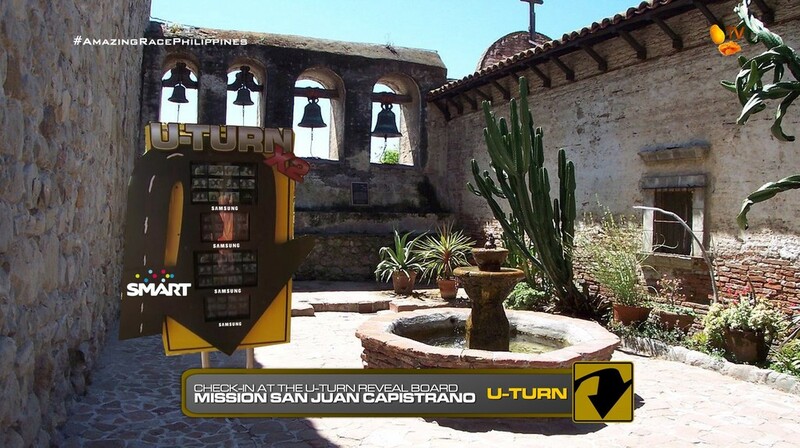 Before leaving the Mission, teams will open the next clue which immediately reveals the Road Block: Who wants a great view? 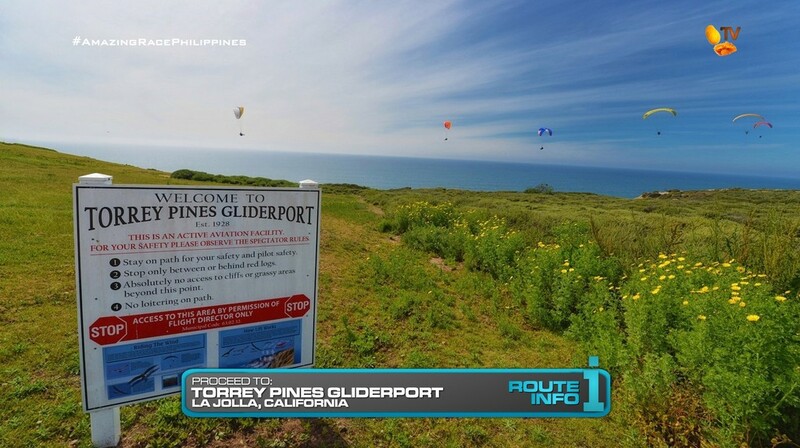 For this Road Block, teams will drive themselves to the Torrey Pines Gliderport in La Jolla. 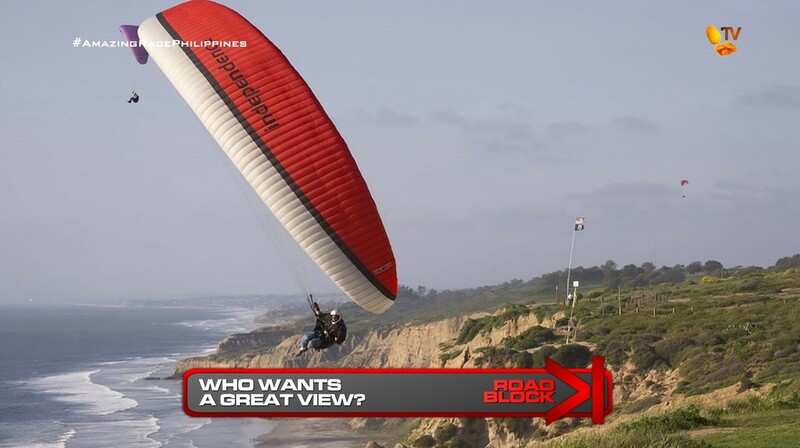 Here, teams will tandem paraglide along the California coast. Along the way, they will need to spot eight flagged landmarks along the coast. When they land back on solid ground, teams must correctly identify the landmarks on a relief map. If they have all locations correct, they will receive their next clue. If they are incorrect, they will receive a five-minute penalty for each incorrect location. 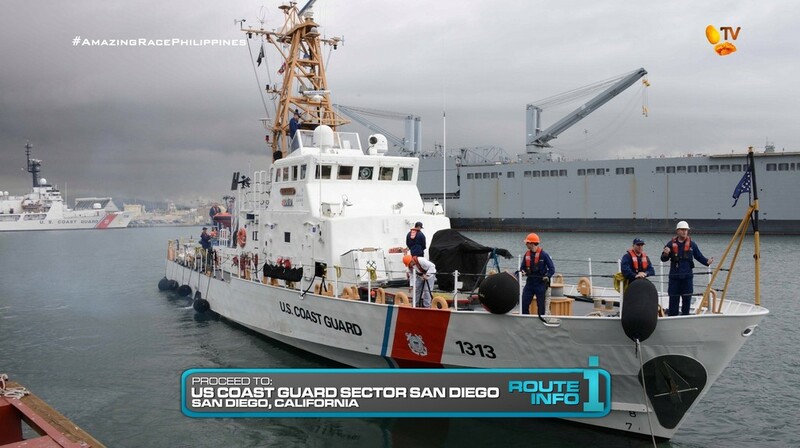 After the Road Block, teams must drive to the US Coast Guard Sector San Diego. Here, teams will participate in a search and rescue training exercise with the coast guard. They must find Oscar, a dummy weighing 185 pounds, in the water, set off safety smoke and swim Oscar back to the response boat. Once back onshore, teams will be given their next clue. 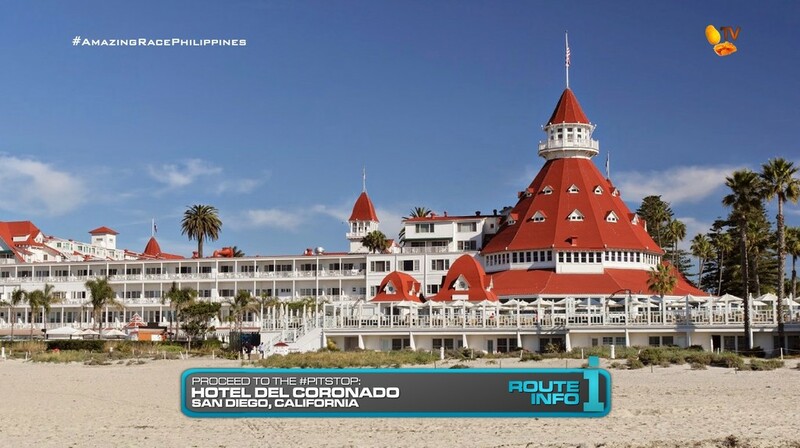 And that clue directs teams to the Pit Stop for this Leg of the Race, the Hotel del Coronado in San Diego. I think this could be a fairly solid, though straightforward Leg. So this season’s route needed a few two-Leg countries. The US is definitely an easy one for that, especially in Southern California. It removes the need for another plane ride and allows for teams to drive. Traffic could again be an issue in the beginning of the Leg as they will be departing from the Pit Stop during morning rush hour. Having Legs in California, a visit to a Mission is a definite must. Especially in central and southern California. The Detour here pays tribute to California’s Native American and Mexican history. This is also a good spot for a Double U-Turn as the Detour is in one location. Especially a forced one. The clue for the Road Block, like all other skydiving/high flying-type Road Blocks, needs to be at a location other than the actual airport/air field/etc. to not tip teams off to the actual task. So having that clue immediately after the Detour before they leave the location is the best way to bring about some good drama. And instead of just a simple paragliding experience, the flag spotting and map should provide an extra challenge. I opted for a penalty here instead of having teams repeat the task because that would be a waste of time and probably wouldn’t be feasible to have teams paragliding multiple times. The penalty should be easier and fair. 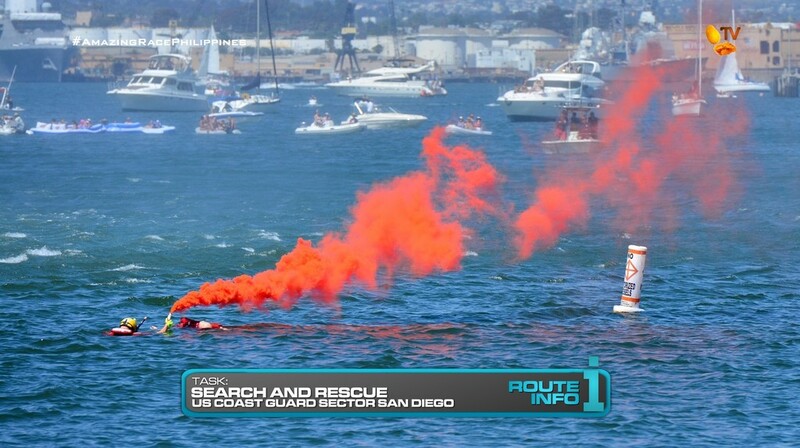 And finally, the search and rescue task in San Diego. It is basically TAR25’s task in the Final Leg. Pretty straightforward, plus it’s a water task which this season needs. This Leg is basically a drive down the coast from Los Angeles to San Diego. There are plenty of other things they could do on the Race in the area, including having the entire Leg more focused around San Diego itself. But overall, I think this should be a solid, straightforward Leg with ample opportunity for good competition and drama.